BMW has announced pricing of the new BMW S1000RR, which will be available from February 7, 2015 starting at £13,700 on the road. The new version of the BMW S1000RR offers semi-active suspension and revised traction control. BMW says it offers even more technology and performance-enhancing aids than the now discontinued BMW HP4. 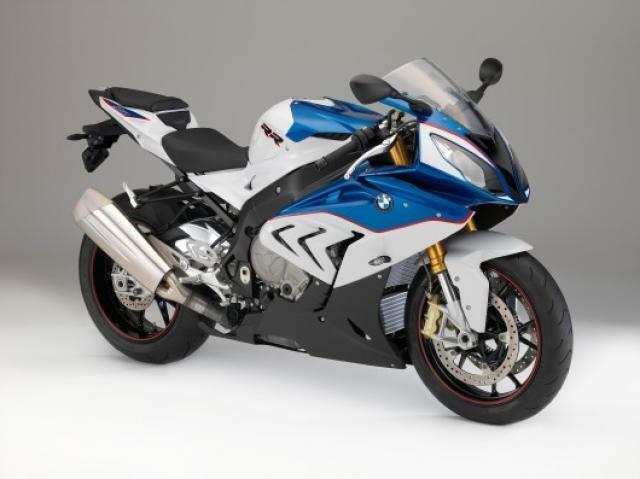 In addition to the standard S1000RR, a Sport version will also be available from £14,760 on-the-road. The Sport version includes Dynamic Damping Control (DDC), a quick-shifter that works on both up and down shifts, heated grips, LED indicators and a colour coded pillion seat cover. Full 2015 BMW S1000RR specs. What if BMW used the engine from the K1600GT in a naked bike?